The nation of Cameroon is on the frontline in fighting the barbarity of Boko Haram terrorism. Yet, reports by human rights organizations, including Amnesty International, are often “useful tools for Sunni Takfiris.” Hence, latest news emanating from Amnesty International regarding Cameroon is irking politicians and the armed forces of this nation. 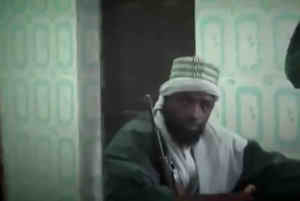 Boko Haram, a brutal Sunni Takfiri Islamist terrorist group, came into existence in Nigeria. However, in recent years this terrorist group is also attacking regional nations including Cameroon, Chad, and Niger. At the same time, this sectarian and Takfiri terrorist group continues to butcher Christians and Muslims alike in Nigeria. In the last three years in Cameroon over 1,500 civilians have been brutally killed by Boko Haram. Not surprisingly, Cameroon and other regional nations decided to help Nigeria in the fight against Takfiri terrorism and mass indoctrination. Therefore, the armed forces of Cameroon are bravely fighting the forces of terrorism in order to protect the nation state from a brutal force. However, despite the complex reality of fighting international terrorism, it appears that Amnesty International is a used “propaganda tool” according to Cameroon. This was stated after Amnesty International accused Cameroon of tolerating water-boarding and other forms of torture that led to some deaths of alleged Boko Haram suspects between 2013 and 2017. Boko Haram, a brutal Sunni Islamist Takfiri terrorist group, is known to kidnap Christian females and convert them to Islam, blow up Christian churches and Muslim mosques, attack schools, blow up markets, and other brutal methods. Hence, it is abundantly obvious that the security forces of this nation face a brutal foe, that seeks to threaten the nation state, spread sectarianism, and butcher innocent civilians. Therefore, allegations made by Amnesty International are viewed to be a useful “propaganda tool” for barbaric terrorists, that is aimed at undermining counter measures being taken by Cameroon in order to protect civilians.